Gold! Silver! Bronze! Dental Innovations bring home the Edisons. 10 nations. 500 senior executives and their guests. More than 3000 judges. Five award-winning dental innovations. On April 4, at the Capitale in New York City, the 2019 Edison Awards™ winners of game-changing new products and service were announced. Proving innovation has reached into all categories, the winners covered AI, robotics, consumer electronics, consumer goods, medical and dental, and social innovation. With more than 500 senior executives and their guests in attendance, the awards were announced at a Gala dinner. The diverse group of attendees represented many nations including Australia, Canada, Philippines, Israel, Japan, China, United Kingdom, Switzerland, Dubai, and the United States. Invisalign treatment with mandibular advancement is the first clear aligner solution for Class II correction in growing tween and teen patients. 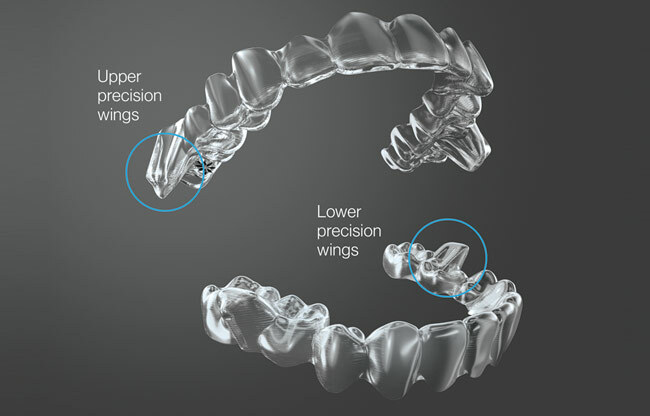 This new offering combines the benefits of the most advanced clear aligner system in the world with features for moving the lower jaw forward while simultaneously aligning the teeth. 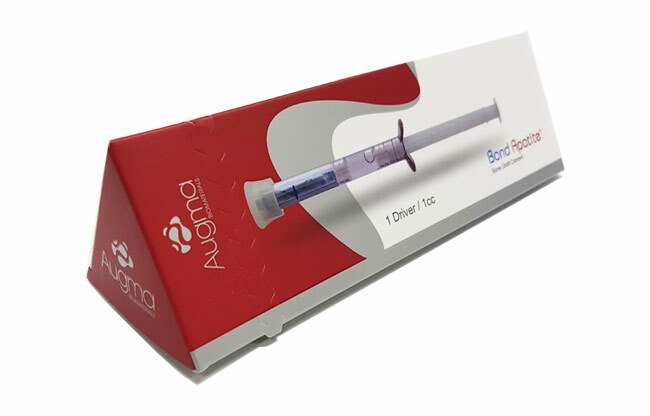 Augma’s innovation is based on a patent which revolutionizes bone grafting procedures before placing implants. The material completely transforms into a patient’s own bone without using additives. Placement is immediate, allowing less invasive procedures with far better results. Healing time shortens tremendously with high predictability and a 95% success rate. Airway Armor™ by Zirc Dental Products Inc. Dental objects are the second most common object that are ingested or aspirated in adults. 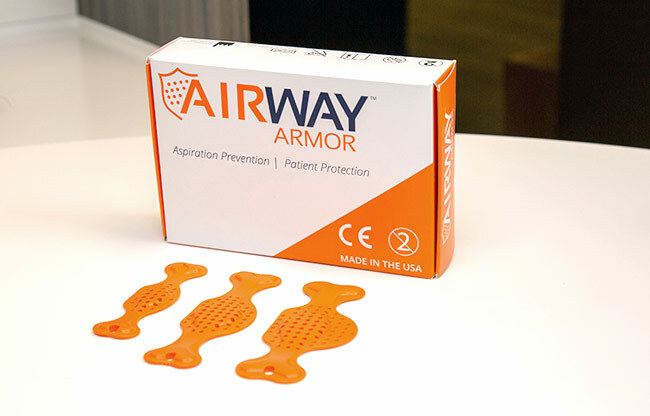 Airway Armor is an easy-to-place, comfortable device designed to protect patients from aspirating or ingesting unwanted dental materials. It is a unique product in the dental industry because there is nothing like it on the market. Not only does it protect the patient, but also protects the Dr. from potential malpractice litigation. Goccles® by Pierrel Pharma S.r.L. 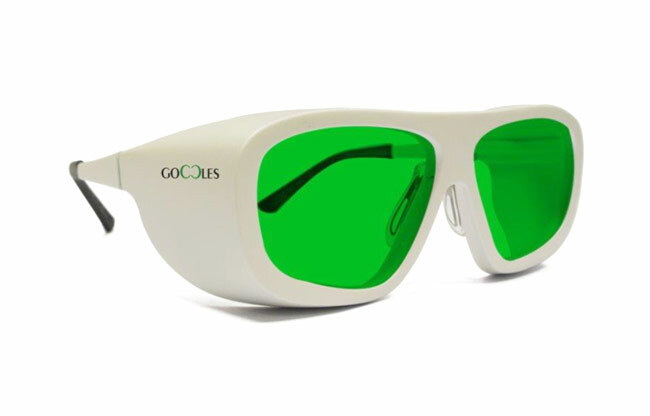 GOCCLES is an FDA approved medical device with patented lenses that allows the observation of the fluorescence of the healthy mucosa and the detection of suspicious pre-cancerous and cancerous lesions, which appear as dark areas on a green background and are sometimes barely or totally invisible to the naked eye. Highly intelligent and innovative, the CS 9600 delivers outstanding precision at every exam, for every user. 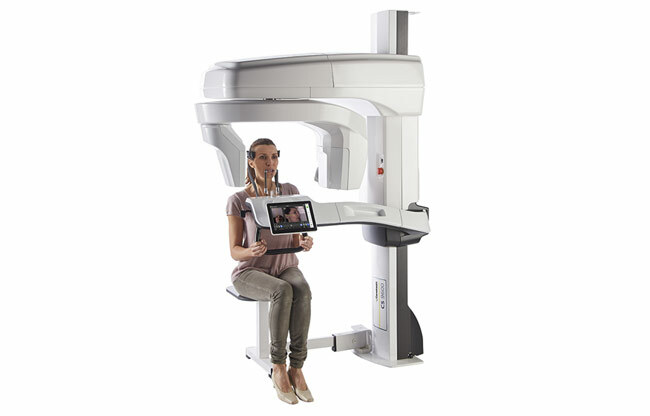 This customizable five-in-one system gives doctors the flexibility to meet every clinical need and provide their patients with the best care, from examining the minute details of a canal to planning for orthognathic surgery. WHAT DOES AN EDISON AWARD SIGNIFY? Being recognized with an Edison Award has become one of the highest accolades a company can receive in the name of innovation and business. The awards are named after Thomas Alva Edison (1847-1931) whose inventions, new product development methods and innovative achievements that changed the world, garnered him 1,093 U.S. patents and made him a household name around the world. “After 32 years, it never ceases to amaze us how innovations that we could only dream about become our reality. Once again, the winners created innovations that are revolutionizing industries and becoming indispensable,” said Frank Bonafilia, executive director of the Edison Awards. The ballot of nominees for the Edison Awards was judged by a panel of more than 3,000 leading business executives including past award winners, academics and leaders in the fields of product development, design, engineering, science and medical. One of the evening’s many highlights was the presentation of the prestigious Edison Achievement Award to Ginni Rometty, Chairman, President and Chief Executive Officer of IBM. The award honors innovation leaders and business executives who have made a significant and lasting contribution to innovation throughout their careers. Over the past seven years, Ms. Rometty has led IBM through the most significant transformation in its history. The company has become the world leader in AI and cloud computing for business and garnered the most patents in history. In addition to the Awards Gala, the annual Edison Awards program encompassed a full-day Meet the Innovators Forum and the Innovators’ Showcase, which offered guests a hands-on experience with many of the winning products including IBM Q (quantum), DropKey Studio in a Bag, Power Dolphin and more.